A single sentence can mean different things with meaningful words and people write sentences long enough rather than paragraphs that say a lot. 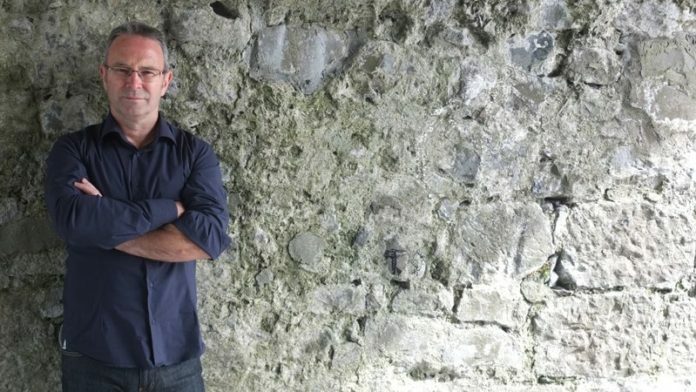 The 51-year old author Mike McCormack has decided to push the limits and wrote the entire novel in a just single sentence. Novel in a single sentence!!! Unbelievable right??? McCormack wrote the whole book in broken sentences. This innovative novel has won Goldsmiths prize (€ 10,000 prize) by the University of London and has praise for the beautiful narration. The novel that was written by Mike McCormack is titled as ‘Solar Bones’ which tells the story of an Irish engineer who comes back to life on the All Soul’s day. The novel ‘Solar Bones’ also covers the diverse issues like politics, marriage all in one long sentence. Solar Bones centres on Irish man ‘Marcus Conway’, a middle-aged engineer from the West Ireland in brief who has returned from the dead on All Soul’s Day in the year 2008, November. With a time span of a single day and told in a first-person account, it touches an array of issues including the environment.